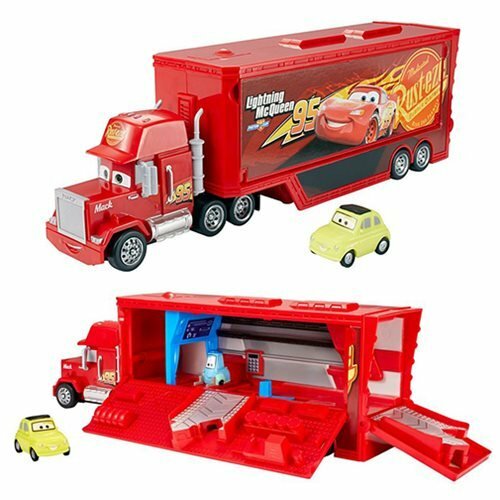 Exciting storytelling fun awaits with this Cars 3 Travel Mack Playset! Inspired by Cars 3, the hauler features iconic details and rolling wheels for movie-themed push around play. Fill up the playset up to 4 vehicles to transport your crew and key racers. Mack comes with two favorite crewmembers, Luigi and Guido, who can service your wheels in record speed. When you're ready to hit the road, press Guido's rooftop and he will launch your vehicle out of the set and into action!